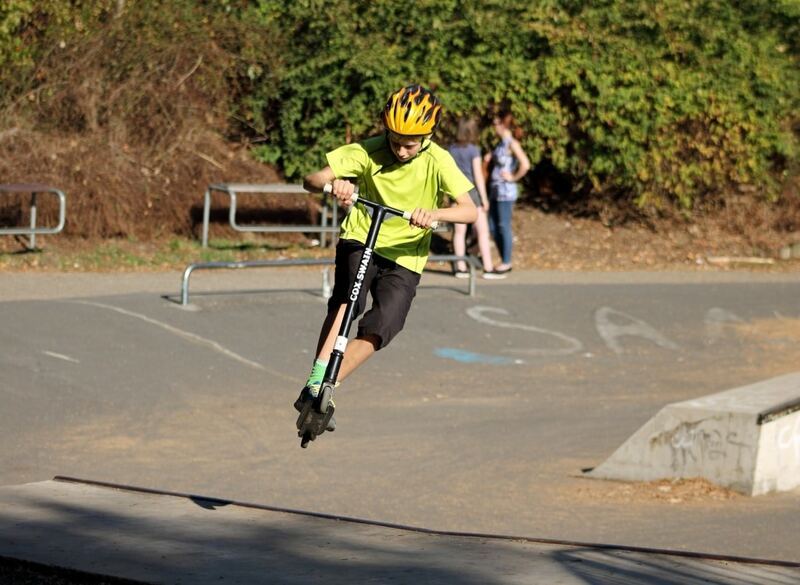 Scooters are a popular option with kids of all ages, with brands like Skate Hut designing different styles specifically for toddlers, children, teens and beyond. While for parents, scooters are a great option to keep kids active and healthy, helping them to develop good exercise habits. However, while you want your children to have fun on their scooter, you may also have some concerns about injuries. To alleviate your worries, here are five helpful safety tips to teach your little ones. One of the most essential elements for keeping your kids safe is by investing in protective equipment, including elbow pads, knee pads, gloves and a correctly fitting helmet. Ensuring they are always shielded means there is less chance of serious injury when they inevitably fall or try out a new stunt. You regularly inspect your car for any flaws, checking tyre tread, oil and making sure there is enough screen wash, so it makes sense to do the same for your children’s set of wheels, too. By setting aside five minutes every few weeks, you can look to see that all bolts are tight and everything is attached securely, helping to keep them safe. Making sure your children can be seen by road users is vitally important to their safety. This applies both to older kids and teens who may be out with their friends late into the evening, as well as younger children who want to play after school. To do this, you can simply add reflective stickers to their helmet and scooter. You can also give their scooter a makeover with flashing, light-up wheels. Teaching your children to only use their scooter in parks or on paths can ensure they stay away from busy traffic on the roads. Additionally, make sure they also know to get off their scooter and walk across junctions. Not only is this safer for pedestrians but slowing down near junctions can help to reduce the chance of accidents. Driveways can also pose a hazard to children using scooters. If travelling at speed, they may find it difficult to stop for a car pulling onto or off a drive. As such, to keep them safe, teach them to vigilant, slow down and be aware of their surroundings. Scooters are a popular choice with kids, both for walk to school and hanging out with friends. Ensure they have fun and stay safe with these tips.